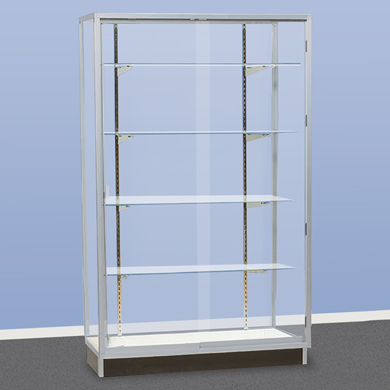 Stylish glass showcase highlights your merchandise while giving your customers a full view. Aluminum upper frame and black melamine bottom provides an elegant backdrop to showcase your premium products. Showcase has glass top, sliding glass doors, 4 rows of adjustable 3/16 in. 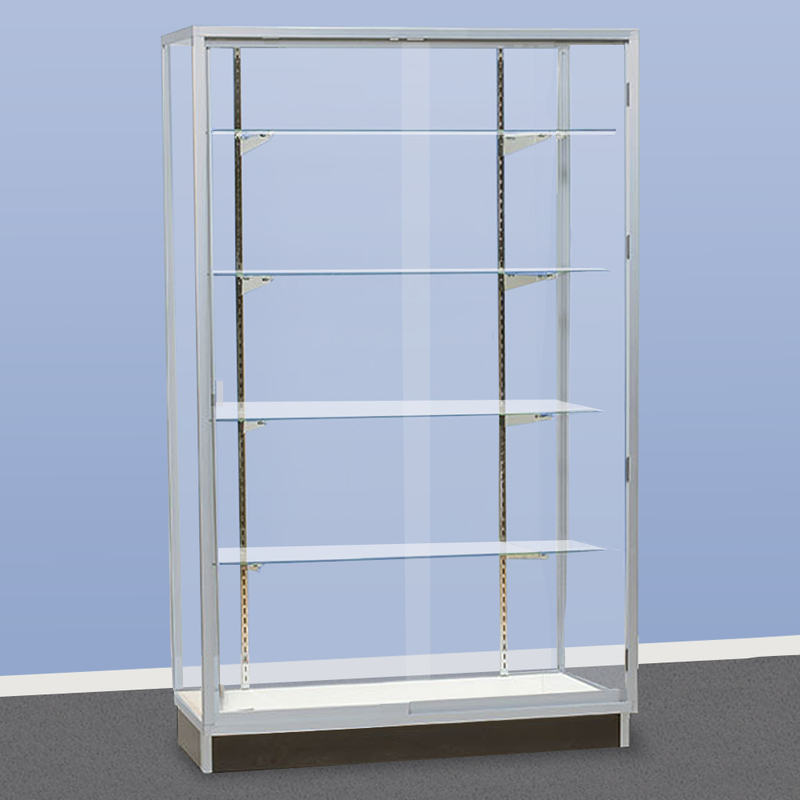 glass shelves and includes heavy duty hardware. 4 in. black base. Glass doors can be mounted in the front or in the back. Add lights to highlight your products, search item 3586 and a lock to secure your valuables, search item 9225.